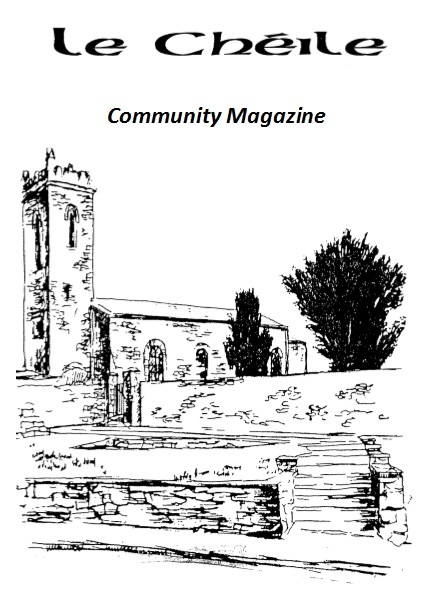 The Clane Friary sub-committee have received good news regarding the Friary gates and official recognition. Thanks to Kildare County Council and to Cllr. Padraig McEvoy for his great help in this regard, a grant has been confirmed towards new gates to replace the “temporary” gates that have been there for the last few years. The design has been agreed and Joe Horan will make them. We had hoped to have them up by Christmas, but given current conditions it is likely to be late January now. Tony McEvoy has brought good news too from the Kildare County Council Historic Monuments Committee. The Friary has been added to the list of Kildare’s Historic Monuments and a sum of money will be given towards a professional survey of the ruins. The Blessing of the Graves was held on November 7th and was very well attended indeed. Thanks to everyone who came for their great support. Thanks also to all the Sub-Committee for helping to have the graveyard looking so well and especially to Mark Moffatt, our “sound man” on the day, and to McKenna’s Hardware for providing the generator. Fr. Paul O’Boyle once again officiated with his usual good humour and relaxed style. This entry was posted in Event, Friary Graveyard and tagged Friary, Graveyard on December 6, 2010 by jkennedy.